Eggs are our best friend when it comes to preparing a quick and easy breakfast. They are not only tasty but also nutritious as they are a good source of high-quality protein, vitamins, and essential amino acid leucine. People enjoy eating eggs in several ways such as fried, scrambled, hard boiled, poached and as omelets. It may seem that cooking an egg is easy, but if you lack the technical know-how, then it can become a hard egg to crack for you (couldn’t resist). If you want to become an ‘eggspert’, then follow these 4 tips and tricks of cooking eggs. Have you ever wondered how scrambled eggs cooked by chefs are so creamy? The secret ingredient is crème fraiche. When cooking scrambled eggs, add one tablespoon of butter to the pan over medium high heat. Adding butter gives a light and airy texture to the eggs. Whisk egg whites and yolks together and scramble for a minute. Now it’s time for the secret ingredient, crème fraiche. It contains fat that makes scrambled eggs soft and creamy. Cook for another 30-60 seconds. Done! Poaching eggs are not everyone’s cup of tea. To master the technique of cooking poached eggs, you need to poke a small hole in the wide base of the egg to break the air pocket inside the shell and then put the egg in hot water. It will help in retaining the egg’s shape and keep it from breaking when you poach it. 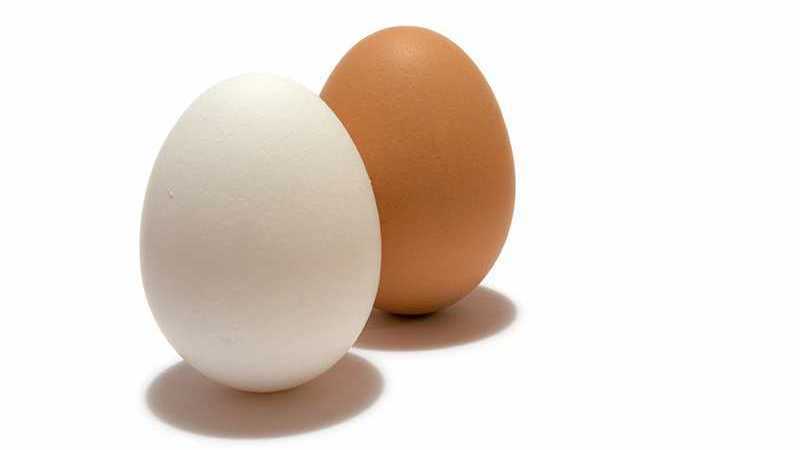 Many people think that brown eggs taste better and have higher levels of protein compared to white ones. But, the truth is, the only difference between them is the colour. There’s no difference in their taste or nutritional value. Brown eggs are laid by hens with brown or red feathers, while white eggs are laid by white hens. You can buy either. However, brown eggs can sometimes cost you more. The secret of a perfectly cooked scrambled egg is undercooking. Slightly undercook your scrambled eggs as they continue to cook even after they’re removed from the heat. Therefore, turn off the heat or put your pan aside before you think that the eggs are done. They’ll be perfectly cooked by the time you eat them. Follow these tips and tricks to become an ‘eggspert’. They are easy to learn and apply. Now you can enjoy your tasty breakfast by cooking eggs like a pro. Happy cooking!